We are very excited to introduce our 2018 Boston Marathon Runners! 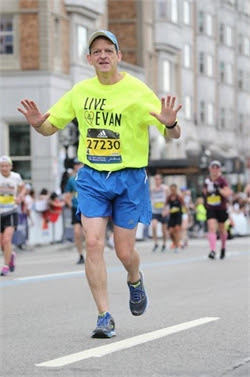 I am very excited to be running the 2018 Boston Marathon for the Live4Evan organization. 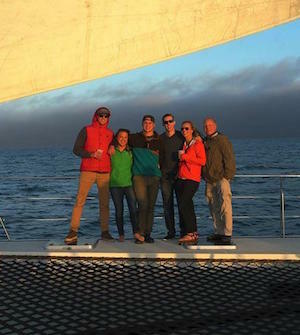 My connection to Live4Evan is twofold, not only did I have the opportunity to know what a wonderful person Evan was but I now work with the families they are supporting. As a nurse in the Cardiac Intensive Care Unit at Boston Children’s Hospital, I care for children with congenital heart disease everyday. I feel blessed to have the opportunity to care for these children and support their families through such a difficult time. The Girardi’s are one of our favorite families in the world. We watched all their kids grow up (Evan, Paige, Maddie and Ellie) and we’d do anything for them. I ran the first Live4Evan 5k race in Hopkinton 5 years ago, and it sparked a love of running that has followed. 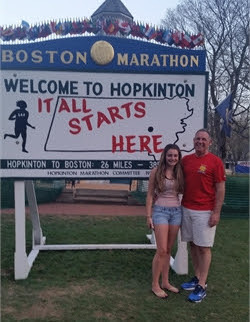 This year will be my 3rd Boston Marathon, and I have Evan to thank for my running addiction. Getting the chance to run Boston again on behalf of Live4Evan is a true honor. This year I am very happy to be running the 2018 Boston Marathon to raise money for Live4Evan. L4E has supported an apartment next to Boston Children’s Hospital for families of children being treated for CHD at the Heart Center, as well as other temporary housing for families facing financial hardship as a result of their child’s CHD medical expenses. Since 2000 I have run the marathon for many charities and something about this one feels very special. Click on the Live4Evan website and you will see why. I am more than excited to run the Boston Marathon this year. I love Hopkinton and it’s been a dream of mine to be a part of this race for a long time. I couldn’t think of a better organization to better represent.